Hollis Johnson/Business InsiderAdena Friedman has several c-suite titles under her belt. Adena Friedman was named CEO of Nasdaq in 2017 after a long career as a C-suite executive. Friedman said she had a good transition phase when she took over as CEO after Bob Greifeld, and already had a team in place when she stepped into the role. Friedman said with additional responsibilities as CEO, her focus is on time management. 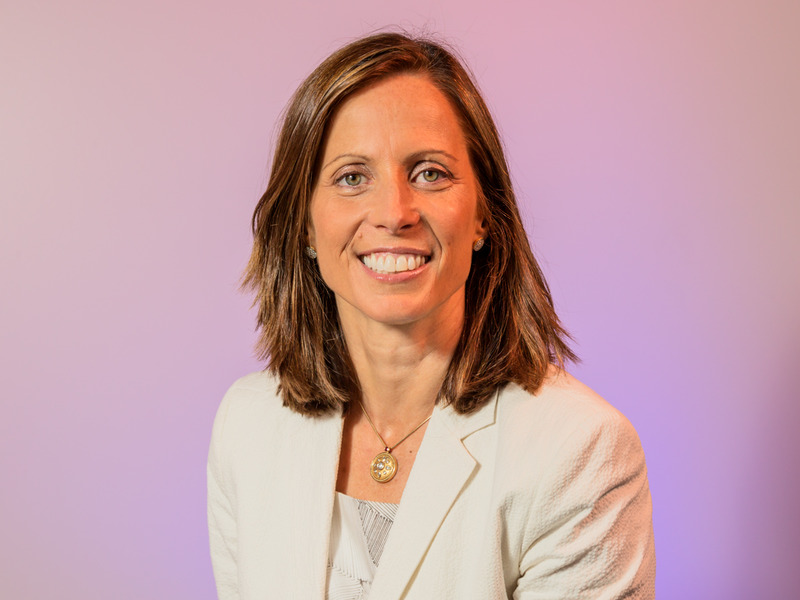 When Adena Friedman was named CEO of Nasdaq in 2017, she became the first female leader of a global stock exchange – but Friedman was a consistent c-suite executive for Nasdaq prior to becoming CEO. “The difference really is how you manage your time,” Friedman said. As COO or president, Friedman said her main focus was the business and clients. As CEO, Friedman says she has additional pulls from investors, Washington DC or government organisations, other stakeholders, and the media. Friedman said as CEO, the focus is on time management. Friedman said she had a good transition phase when she took over as CEO after Bob Greifeld. Friedman said she worked closely with then-CEO Greifeld for three years as president and then COO. Friedman said Greifeld gave her the autonomy she needed to be successful in previous roles as well as her current one. “He also allowed me to make some leadership changes in the organisation in those years so that by the time I became CEO I didn’t suddenly have to make a lot of decisions at the leadership level – in fact, I had a team,” Friedman said. Greifeld previously told Business Insider that every leader transitioning to a new role at Nasdaq needs a succession plan. “So that first day was a big day, but it wasn’t a day where I suddenly had to make a bunch of changes on Day One; I walked right into the role,” Friedman said. When Friedman was publicly announced as CEO of Nasdaq, she was framed as the first woman in charge of a global stock exchange – just one of a few female leaders on Wall Street. Friedman said she wasn’t surprised by the tailored coverage.